Recognition that overall system water quality is increasingly dependent on proper disinfectant residual management in the distribution network has led UGSI Solutions to develop a family of network water quality management tools that range from tank mixing (Tank Shark®, PAX Mixers), tank boosting (Chemlocker®) to fully-automated reservoir residual chemistry management (Monoclor® RCS). 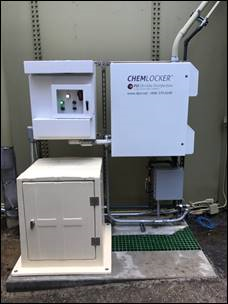 The Chemlocker® reservoir dosing station provides operators and water quality professionals with a simple water quality management tool that can aid disinfectant residual management by providing both reservoir residual level assessment and chemical dosing of hypochlorite and or ammonia to reassert control to a free-chlorine or a chloramine disinfectant regime. The Chemlocker® reservoir dosing station replaces the dangerous practice of manual dosing with buckets of bleach hauled up ladders or tank stairways. When complemented with a powerful mixing and in-tank chemical introduction tool such as PAX Tank Mixers or the Tank Shark mixing system, the Chemlocker® is one building block as part of an overall strategy to manage distribution system water quality. 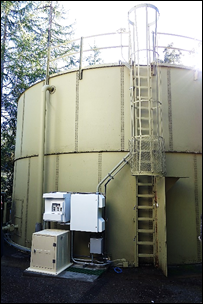 An integrated total chlorine analyzer provides dynamic tank residual analysis based on real-time sampling from the tank itself. Data availability for the overall network SCADA system. Simple eductor system for precise chemical injection of both ammonia (in the case of chloramine boosting) and hypochlorite (chlorine). 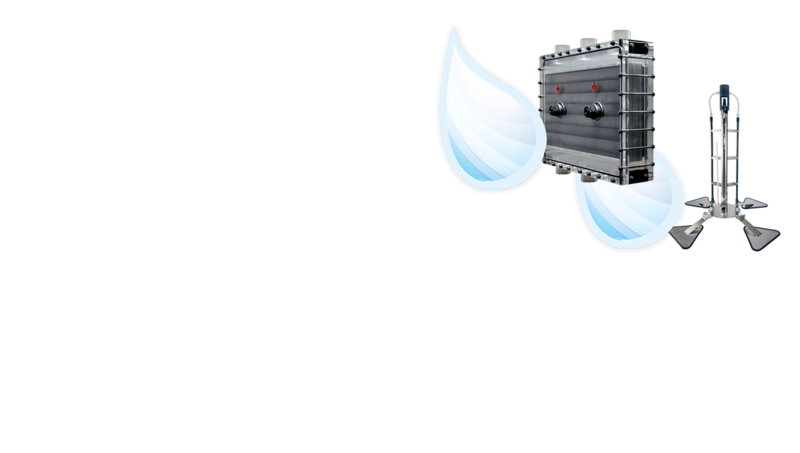 A booster pump is optional where a high pressure water source is unavailable on-site. The analog flow information from the tank mixer is available locally at the Chemlocker® panel and also via SCADA for remote monitoring. This flow information provides vital feedback to the operator so as to preclude the possibility of chemical addition without proper simultaneous mixing and dispersion. Field installation of a Chemlocker® system (dosing station and Tank Shark® mixer) can be accomplished in less than a week with appropriate concrete footings and permitting.